I love traveling to destinations which are off the beaten path and in this newsletter I’d like to share one of those countries – Namibia! It’s a place with so much history and a landscape which will take your breath away, it’s truly out of this world. 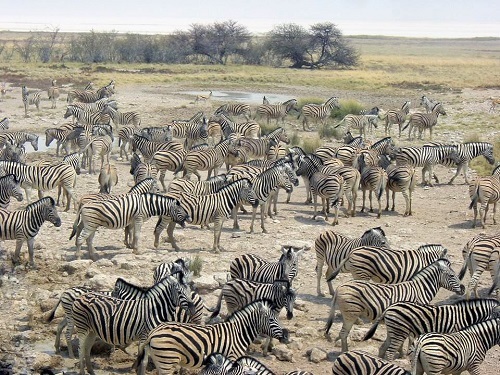 The wildlife viewing is as amazing as in any of the national parks in other parts of Southern Africa and is usually priced lower as well. Did you know that Namibia once was a German Colony? It was called German South West Africa from 1884 to 1915 and still today, you’ll see the influence of these times. Below is an itinerary we have put together to give you a taste of what is awaiting you on a journey through this country and while in Namibia, you’ll be taken care by our wonderful staff and stay in accommodations hand picked by us. Namibia is an amazing destination to experience with your loved ones, an exciting family trip, your favorite group of people or an unforgettable honeymoon. As always, any itinerary created for you can be completely customized so that it will be the perfect trip, just for you. After picking you up from the airport we drop you at your hotel/lodge for a one night stay in Windhoek the capital city of Namibia. 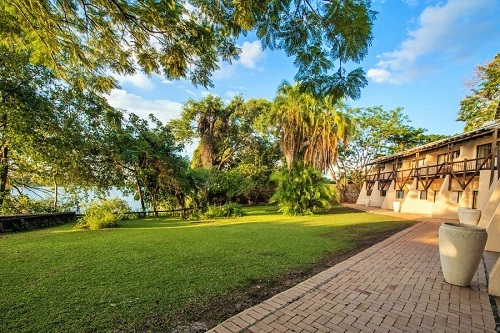 Windhoek is a historic town with a lot of historic buildings and very rich mixed cultures. You have the afternoon at leisure to explore the city of Windhoek. Preferably your guide will take you on an unforgettable experience city tour and finishing the day with a visit to the Katutura township where most of the inhabitants of the city live. Dinner will be enjoyed at one of the local restaurant offering local cuisine. After breakfast we leave Windhoek behind and cross the Tropic of Capricorn into the African savanna landscape. After a few hours traveling through some incredible scenery, we arrive at our lodge just in time for a midday bite. 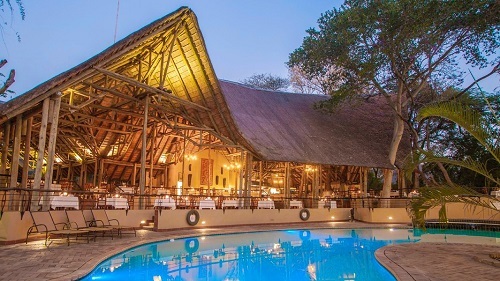 We will relax around the swimming pool or just around the lodge premises before going for our first introduction to the Kalahari Desert, our first African sunset in the wilderness of Africa. 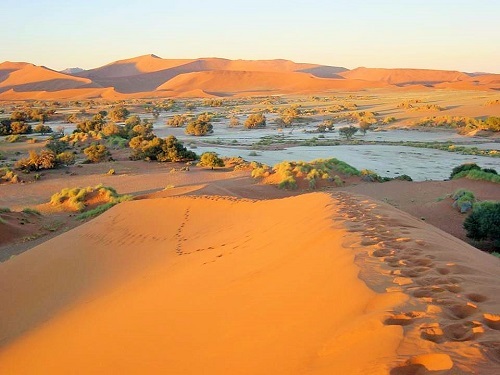 After breakfast we leave for the highest dunes of the world, to the Sossusvlei area – the Namib Desert regarded as the oldest desert in the world with the highest red sand dunes. 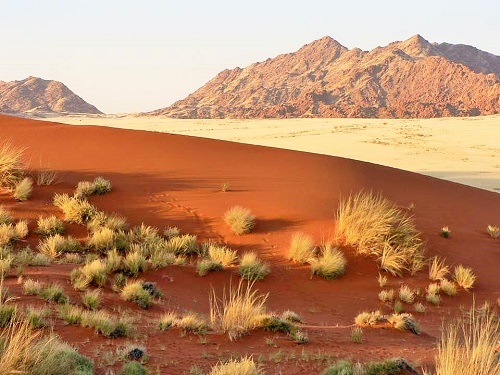 Today you’ll have a most inspiring and scenic drive through the desert to your lodge in the heart of the Namib. 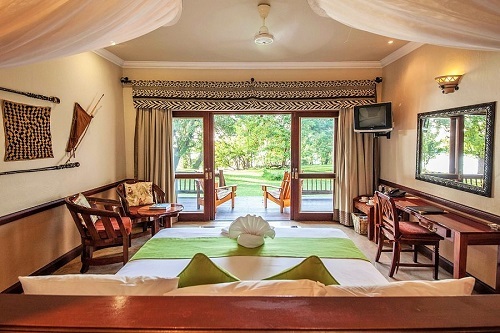 We’ll enjoy lunch en-route and arrive late afternoon at the lodge where you’ll time to relax and later have dinner. After an early pre dawn wake up we drive to Sossusvlei to enjoy the red sand dunes of the Namib. 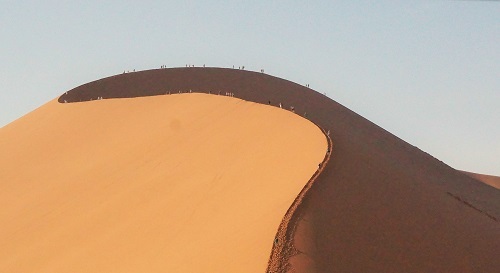 We will stop at the scenic Dune 45 along the way and spend a couple of hours at both Sossusvlei and Dead Vlei before enjoying a picnic breakfast between the sand dunes. Afterwards we will visit the Sesriem Canyon before heading back to the lodge to enjoy the afternoon at leisure around the swimming pool or just around the lodge. After a leisurely breakfast we continue our safari to Swakopmund on the coast line of Namibia. We have a few scenic stops along the way before reaching the youngest town in Namibia, Walvis Bay to enjoy lunch and also in the same time enjoy a few aquatic birds around the lagoon of Walvis Bay. We will reach Swakopmund in the late afternoon we’ll stay here for the next two days to explore this once little German town. There will be options for additional activities during your time here. 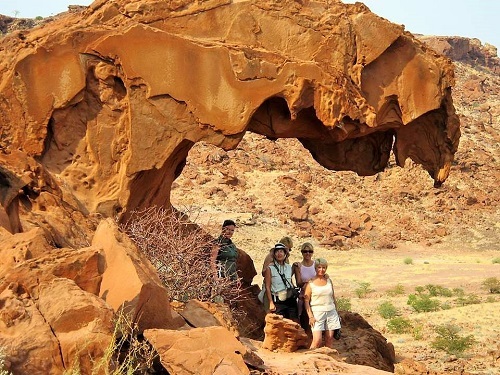 Today we travel parallel with the Atlantic Ocean along the Skeleton Coast to Twyfelfontein Rock Engravings and Paintings at the World Heritage Site. On our way we will stop at an old shipwreck and the Cape Cross seal colony the largest seal colony in the world. Afterwards we will travel inland towards the highest mountain in Namibia, Brandberg to reach our lodge late afternoon. It is one of the most amazing days with regards to the landscape you’ll experience during this trip but also one of the longest driving days. Trust me, it will be well worth it! This morning after breakfast we will visit the World Heritage Site with rock engravings and paintings. 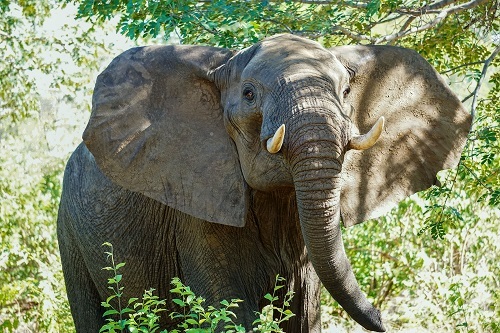 After the visit we will continue our journey to Palmwag Lodge, the Home of the desert adapted Elephants. We travel through beautiful landscapes of flattop mountains only knowkn as Etendeka Plains. We reach our camp just in time for lunch and the afternoon will be at leisure. After breakfast we will go on a game drive into the Palmwag Lodge concession area to try and find some game very well adapted to this desert environment. This is also where there is a large number of the Black Rhino population, so if we are lucky enough we might spot some. You’ll be back at the lodge after lunch to enjoy the swimming and leisurely time around the lodge. After a leisurely breakfast we’ll drive today into the Himba area. 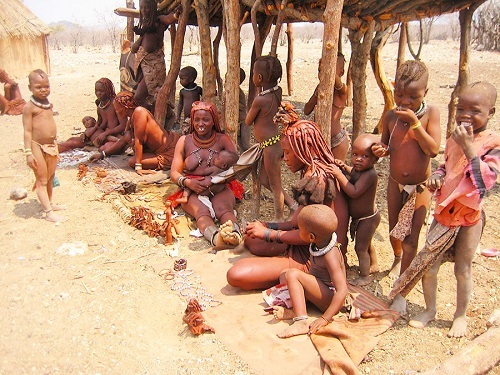 Himba’s are semi nomads, also known as cattle herders of the Kaokoveld. We arrive just in time for lunch at the lodge. This afternoon we will visit one of the nearby villages to experience the lifestyle and survival of the Himba people of Namibia. 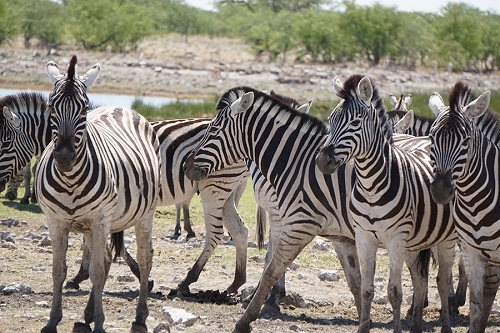 Leaving Opuwo, we head in the direction of the Etosha National Park for the next two days. We will mainly game drive in our own vehicle, visiting different waterholes of the park. 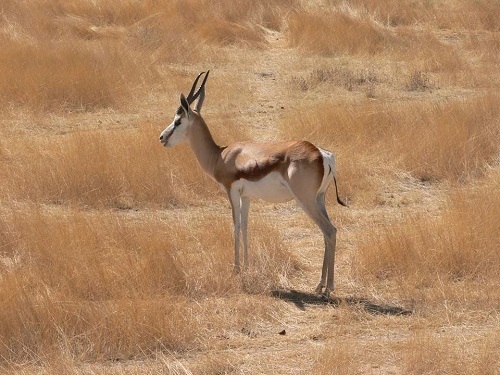 Animals likely to be seen in the park are from as small as scorpion, snakes and jackals to springbok, oryx, zebras, lions, elephants as well as rhinos just to name a few. After an early breakfast we will continue with our game drives in the park and get midday to our lodge. After lunch we enjoy around the swimming pool and lodge area before going on an afternoon game drive back into the park. 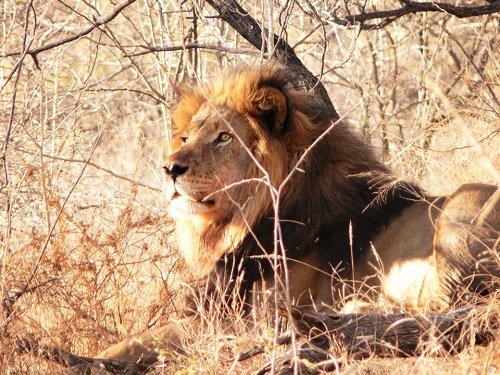 After breakfast we drive South to the central parts of the country into the Kalahari basin. We travel through the Waterberg Plateau Park, the location where the Herero Genocide took place under the hands of the German Colonialist. This is also a National Park where the water dependent animals are kept and breed, the likes of African Buffalo, White Rhino, Sable, Roan etc. This afternoon our guide will take us on a hike up the plateau with stunning views from the top and give us more inside information on the Herero Genocide. We will dine tonight in the camp restaurant which is also one the most historic buildings of the German Colonial time in Namibia. Today we head back to Windhoek where some will stay on and some will say goodbyes to fly back to their respective countries. We will stop in-route at Okahandja graft market where you can buy some nice gifts for your family and friends. Arrive early afternoon in Windhoek where you will be dropped at your accommodation or transfer to the airport. As always, this itinerary can be completely customized to suit your wishes for an unforgettable experience and we can add days if you would like to spend more time at one or the other destination as well as shorten any of them. Why not continue to South Africa or Botswana for a few more days? Let me know what you think and feel free to contact me if you would like to receive a quote for your own customized itinerary.